For the love of bunnies, zombies and frocks! 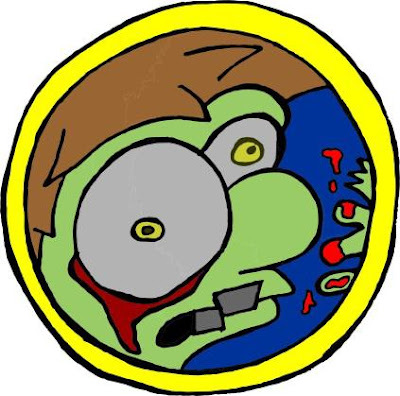 : DEAD PLANET: Checking in…how to turn any accommodation into a Zombie safe zone. DEAD PLANET: Checking in…how to turn any accommodation into a Zombie safe zone. I’ve been on the move a fair bit since moving to South East Asia. First off, I was in a large house in a rural province called Kampong Chhnang, where monkeys occupied the local park, chickens roamed the streets, oxen fed at the local soccer field, frogs made our home their home, horses trotted by my office and dogs barked aggressively at night. Then, I moved to the concrete-filled, traffic-infested, strange smelling city that is Phnom Penh. In between KC and PP I also spent time in guest houses, hostels, hotels and hammocks across Cambodia, Bangkok and Singapore. Moving quite frequently has made me think about the various zombie-related risks that you run when accommodation hopping. It’s much easier to execute a Zombie survival plan in your own home than on the unpredictable and unknown road. So, if you happen to find yourself traveling, backpacking or glamping when the outbreak occurs, here are a few handy tips to help you safeguard any location! Make a list of your personal essential survival items and keep them close at all times. 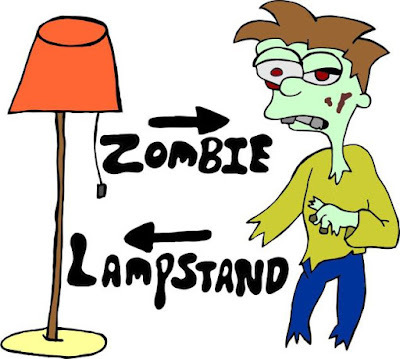 For example, if you are hard of seeing like me, having glasses and contact lenses in immediate reach will help you differentiate between the invading Zombie and the tacky hotel lampstand (plus, if you break it they’ll probably try and make you pay). Taking Zombie killing weapons through travel check points can be troublesome (ask me about that time I took a sword into Japan). So right after you check into your digs for the night, identify a few items that could be used to cause some serious Zombie brain death. If you’re staying in a nice hotel you may be able to use the complimentary iron. 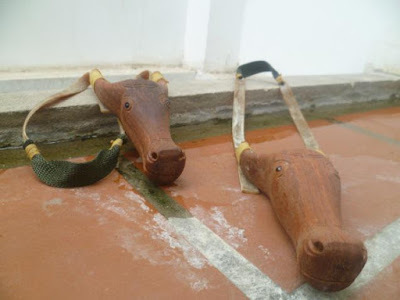 However if you are going budget and can’t find anything suitable, head down to a local market and search for locally made cow slingshots. Being able to warn your loved ones of Zombie attacks may be important to you. 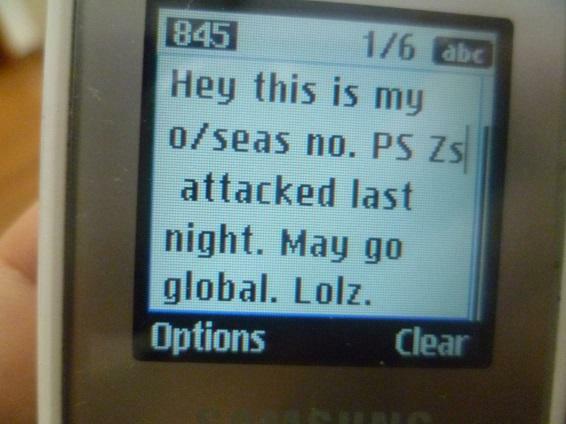 Getting a local sim card will help you send off a quick message to warn them before the attack goes global. You might also want to invest in an old school non-smart phone for superior battery life and retro effect. Using luggage and furniture to barricade yourself in your room will keep those pesky Zombies at bay whilst you come up with a plan. If you’re lucky you may also be able to monitor their movements through the little hole in the hotel door. 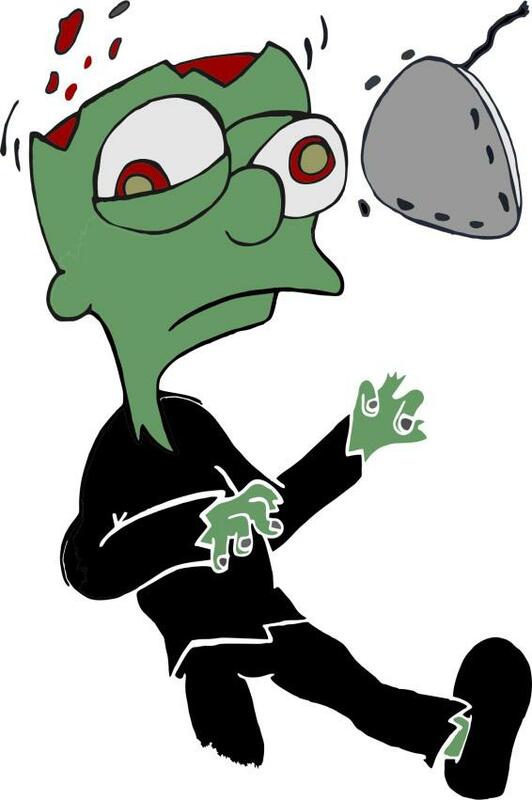 And of course, whether you are staying in a hotel, hostel, tent, yurt, igloo or tree house, whether you are travelling for work, leisure or something in between…wherever you find yourself when the Zombocalypse occurs… remember to aim for the HEAD!